Such are the types of questions raised in this book, and they are disturbing and profound. Just click on 'Shop now'! A Reserve Army of Consumers? This outstanding book is more than simply 'ground-breaking', it shakes the conceptual foundations of the social scientific discipline. They claim that the reality of social exclusion is not simply displayed in ghettos and sink estates. They nail down and fundamentally reconstruct the concept of 'social exclusion' with such intellectual flair, originality and precision that we must now wonder why we haven't been thinking about it like this all along. Steve Hall is Professor of Criminology at the Social Futures Institute, Teesside University. Their latest book is the critical criminology book of the decade, and the best account of capitalism since the 2008 crash. I particularly liked the call for social researchers to resist acting as mere 'gun dogs, flushing out and retrieving' data for funders to fit neatly into their pre-determined agendas. They claim that the reality of social exclusion is not simply displayed in ghettos and sink estates. Castigating the liberal right and the liberal left, Winlow and Hall offer a thorough-going critical analysis and the possibility of a new politics to counter the deepening effects of neo-liberalism on all our lives, rich or poor, included or excluded, East or West. It challenges the reader to consider whether we are facing the end of the social as a space of human existence. The authors handle their impressive range of philosophical reference with ease and they write with a verve and commitment to deconstructive analysis that I found simulating. It has become a ubiquitous term much bandied about with scant regard for its true epistemological meaning and seems to be de rigueur in utterances from academics, researchers, politicians, advocacy groups, campaigners and columnists all of whom appear to lament its extent, have varying understandings of what it is, and diverse opinions on how it should be remedied. It can also be discerned in exclusive gated housing developments, in the non-places of the shopping mall, in the deadening reality of low-level service work and in the depressing uniformity of our political parties. Simon Winlow and Steve Hall, outriders of a radically different policial economy for our era, have done it again. The 'rethinking' of the concept offered here is so fundamental and done with such theoretical verve that I am sure many others will be similarly convinced. 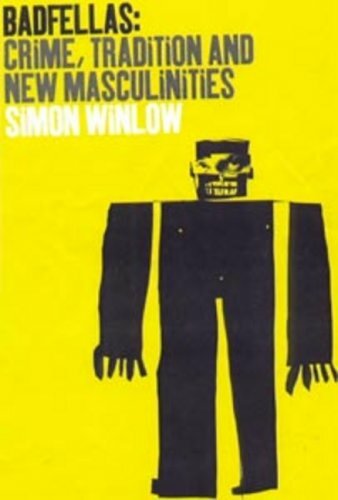 Simon Winlow is Professor of Criminology at the Social Futures Institute, Teesside University. By doing so, they highlight the cultural devastation enabled by myopic policy wonks and Fabian corporate quislings. Rethinking Social Exclusion: The End of the Social. They claim that the reality of social exclusion is not simply displayed in ghettos and sink estates. Winlow and Hall, outriders of a radically different political economy for our era, have done it again. Rethinking Social Exclusion maps a precise route between and beyond the dual traditions of Europe - social exclusion as a phenomenon produced by the rise of neoliberalism - and the United States - social exclusion as an experience shaped by urban segregation. These discussions are followed by chapters on how social exclusion is repositioned in a financialised global economy where mega-wealth is no longer linked to tangible production but is derived from speculative gambling in a giant casino rigged so that gains are private but losses are socialised, as in the crash of 2008. Winlow and Hall, outriders of a radically different political economy for our era, have done it again. A Reserve Army of Consumers? The term social exclusion has over time become a catchall shorthand cited by many but critically engaged with by few. Expositions, discussions and critiques of 'social exclusion studies', 'underclass theories', cultures of consumerism, neo-liberal capitalism, markets and pro-social space as exemplified by derelict city centres are all interwoven. This book has changed my mind. Their latest book is the critical criminology book of the decade, and the best account of capitalism since the 2008 crash… A devastating critical analysis of the effects of neo-liberalism. To legitimise these strategies which are patently counter to the interests of citizens, working and non-working, the political establishment must be harnessed and incorporated. Winlow and Hall, outriders of a radically different political economy for our era, have done it again. Taylor, author of Zizek and the Media'; an intellectual tour de force. A devastating critical analysis of the effects of neo-liberalism. Buy here through CrimeTalk and help us cover our costs. This will no doubt become the guide for social scientists looking to heed their call and think anew on the blunt imbalances inherent in contemporary capitalism, and the stark marginalisation at the ever expanding social fringes that characterise these turbulent times. Occupying Non-Places Excluded from What? Anyone who wants a new understanding of social exclusion, who is concerned with the impact of social disintegration on people and communities, and is committed to the struggle for a just society, should read it. Advocating wholesale change can be bad for promotional and career prospects! It can also be discerned in exclusive gated housing developments, in the non-places of the shopping mall, in the deadening reality of low-level service work - and in the depressing uniformity of our political parties. Steve Hall is Professor of Criminology at the Social Futures Institute, Teesside University. 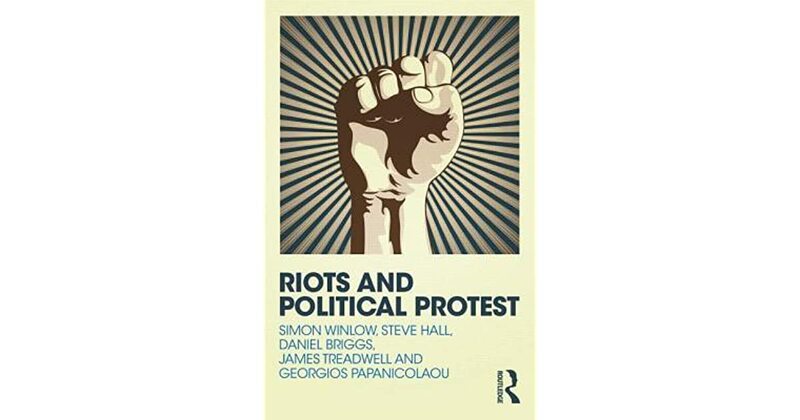 This superb book not only re-positions and, crucially, re-politicizes both producers and consumers but also inhabits a unique theoretical space and demonstrates Winlow and Hall at their brilliant best as theorists of contemporary social exclusion. Steve Hall is Professor of Criminology at the Social Futures Institute, Teesside University. Their latest book is the critical criminology book of the decade, and the best account of capitalism since the 2008 crash… A devastating critical analysis of the effects of neo-liberalism. Rethinking Social Exclusion: The End of the Social? The analysis of the transformation of labour and commodification and appropriation of everyday forms of communication through digital platforms is particularly incisive. 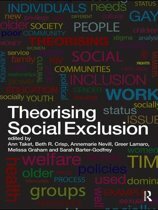 This superb book not only re-positions and, crucially, re-politicizes both producers and consumers but also inhabits a unique theoretical space and demonstrates Winlow and Hall at their brilliant best as theorists of contemporary social exclusion. Rethinking Social Exclusion. Review of Winlow & Hall. The priority is to drive down wages, restrict the legal protections of low earners, and minimise the tax obligations on wealth, on the pretext that these are the only effective way to stimulate economic growth. I hope that this vital contribution for understanding today's world is read by many and debated vigorously. Steve Hall is Professor of Criminology at the Social Futures Institute, Teesside University. Winlow and Hall, outriders of a radically different political economy for our era, have done it again. I had long regarded 'social exclusion' to be another zombie-concept, a notion so inflected with the ideological baggage of the discredited New Labour hegemonic project that it retained no analytic or political purchase whatsoever.